How Tablets Will Revolutionize Education? Hand an iPad to a two-year-old, and within seconds, she’ll figure out how to turn it on. Unlocking it might take her a try or two, but show her how, and she’ll get it. In just a few minutes, she’ll be able to swipe with more precision than many adults, and she’ll master the full range of gestures faster than you can imagine – even if you’re watching her in action. The intuitive nature of most touchscreens – and of the iPad specifically – make tablets a natural choice for education markets. They’ve already stormed the special education world, replacing outdated, clunky devices with streamlined, cool apps. And more high schools, colleges, and business are beginning to integrate tablets into their educational bag of tricks. 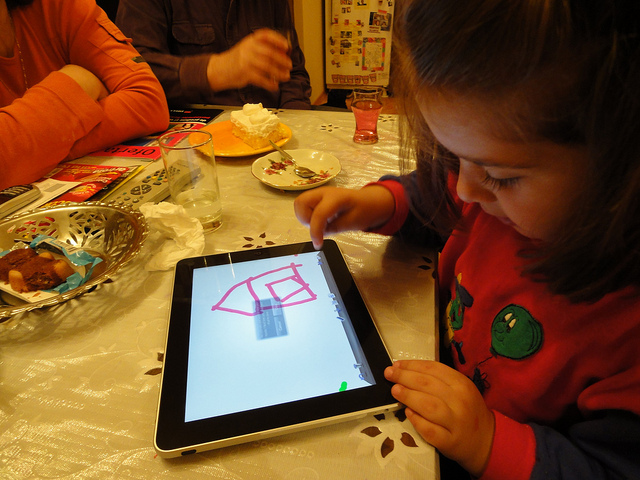 So what are some of the ways tablets will help revolutionize education? Enhanced textbooks. Tablets bring text to life, with images, video, audio, and real-time interaction. In fact, the term “textbook” is probably a bit of a misnomer — today’s tablets sport apps designed from the ground up for innovative online learning platforms. Concentrated learning. Unlike laptops, most tablets force you to focus on one thing at a time. Studies have shown that multitasking isn’t all it’s cracked up to be, and forcing students to pay attention to the topic and hand may lead to a real revolution in education – and learning. Lower costs. Skyrocketing costs have put higher education out of reach of the masses. Tablets may help change that by eliminating the market for costly new versions of hardcover textbooks and obscure materials. Content subscriptions will enable users to access the materials they need when they need them – and update them as necessary. Immersion learning. The connectivity of a tablet combined with its small form factor means that when a student is at home reading information, he can supplement it with discussions, demonstrations, Q&A sessions, and more – essentially creating an extended classroom experience within a text. The future of education is being written on small screens. What do you think? What will tablets bring to the table?